Here is Wikipedia's fine bio. 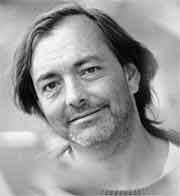 Rich Mullins died September 19, 1997. Our tube has been tuned nonstop to cable news coverage. I was encouraged to see Samaritan's Purse on the ground so quickly along with the churches-Southern Seminary is helping out with New Orleans Baptist Seminary's needs. I haven't been able to get to their direct site because of high traffic alerts. NAMB has launched the largest relief effort in SBC history. It is time for the Bride of Christ to shine. My friends at PCPC in Dallas told me about what one church is doing. I won't be disseminating much news here, but prayers have been abounding. Check out BPNews coverage for insight you will not get elsewhere. I cannot help but be irked at the Baptist board postings I have seen decrying the fact that N.O. is built below sea level- there is a tangible- "they got what they deserved" lack of compassion in statements about building on sand. Stop talking and do something, for Christ's Sake! 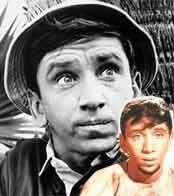 The name Bob Denver may not ring a bell, but his portrayal of castaway Gilligan on the 1960s TV show Gilligan's Island surely will. After entertaining generations through syndicated reruns and numerous reunions, Denver passed away over the weekend. He was 70. He was also Maynard G. Krebs.